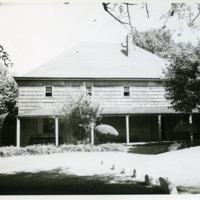 The Long Island Photograph Collection contains photographs of geographical features, architecture, residents, and locations of Long Island, New York. The items in this online collection provide public access to the visual record of Long Island culture. 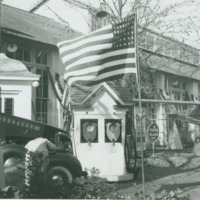 The photographs date from the early 19th century to the present day, and serve to describe the rich history of the area. Original copies of the items in this collection can be viewed at Hofstra University, Special Collections. Image Collection, Hofstra University Special Collections. 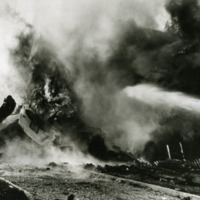 P-47 Thunderbolt and the home of Eunice and Bernard Fixler (Hofstra University Class of 1941) both engulfed in flames. 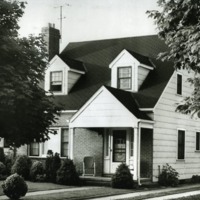 Exterior front view of the home of Eunice and Bernard Fixler (Hofstra University Class of 1941). 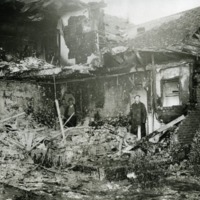 Men standing in the remains of the home of Eunice and Bernard Fixler (Hofstra University Class of 1941) after a P-47 Thunderbolt crashed into it. 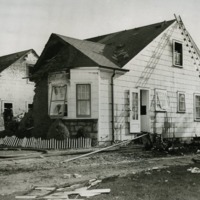 The house of Eunice and Bernard Fixler (Hofstra University Class of 1941) and that of Mr. and Mrs. Walter R. Briggs after a P-47 thunderbolt crashed into them. 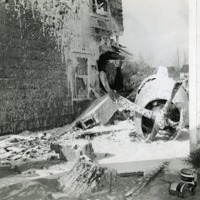 The house of Eunice and Bernard Fixler (Hofstra University Class of 1941) and that of Mr. and Mrs. Walter R. Briggs after a P-47 thunderbolt crashed into them. 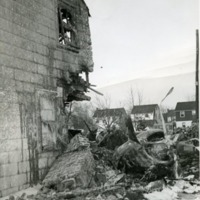 The tail of the air plane is sticking out between the two houses. 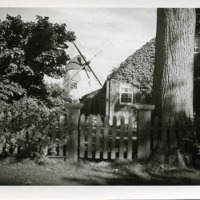 Unidentified windmill behind a tree and building with a picket fence in front of it. Old Quaker Meeting House built in 1694. 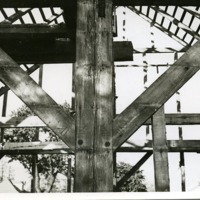 View of a section of framework of an unidentified house built during the eighteenth century. Annotation on the verso refers to how framework was joined and marked with Roman numerals.